We are very proud to introduce you to our highly trained and skilled professional staff who will care for you with the greatest compassion and concern for your health needs. Each is exceptional in their own right; Together they make Choices one of the finest medical centers anywhere. Dr. George McMillan is a board-certified OB/GYN physician who brings a great deal of compassion, experience and knowledge to the patients of Choices Women’s Medical Center. Dr. McMillan has extensive experience in diagnostic and operative Laparoscopy, high risk Obstetrics, abortions up to 24 weeks, infertility, Ultrasonography, Colposcopy, Microsurgical Tubal Reconstruction, Laser Surgery and Operative Hysteroscopy and Tubal Sterilization without incision. 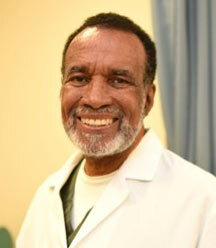 He has operated a solo private practice in Obstetrics and Gynecology since 1974, served as the Director of Gynecology at the Ambulatory Surgery Center in Brooklyn, NY, was Director of Obstetrics and Gynecology for Charles Drew Medical Health Center in Brooklyn and has served as an instructor to OB GYN residents and medical students at Downstate University Medical Center. Dr. McMillan has attending privileges at Brookdale Hospital Medical Center, New York Methodist Hospital in Brooklyn, NY, Downstate University Hospital of Brooklyn and Jamaica Hospital Medical Center. As a resident of Obstetrics and Gynecology, Dr. McMillan practiced at Columbia University Harlem Hospital Medical Center where he went on to become Chief Resident. In addition, he served as a visiting Clinical Fellow at Columbia University College of Physicians and Surgeons at Harlem Hospital Center. Prior to that he earned a B.Sc. and M.B. from the University of the West Indies where he went on to complete his rotating internship. His M.D. was obtained from New York State University. Dr. McMillan is certified by the American Board of Obstetrics and Gynecology and licensed by Flex to practice medicine in New York, New Jersey, Florida with reciprocity to 46 States. He is also licensed to practice in Jamaica, West Indies. Dr. Meikle completed her undergraduate at Cornell University and then her masters at Binghamton University. She received her medical degree from S.U.N.Y. Upstate Medical University and has been in practice for 19 years. She was raised in New York City and returned here to establish her career and give back to the community. Dr. Meikle has great communication skills to interact with all woman during vulnerable periods in their lives. She offers trustworthy familiar hands during the birth process. She believes that knowledge is power. Her goal is to provide care and education to the female patient to help optimize her general and reproductive health. Ms. Banks comes to Choices with over 24 years of experience and knowledge. She has worked as an OBS/GYN physician’s assistant at Maimonides Medical Center in Brooklyn, Planned Parenthood in Nassau and New York City, HIP in Brooklyn, Brooklyn Hospital and Interfaith Hospital in Brooklyn. 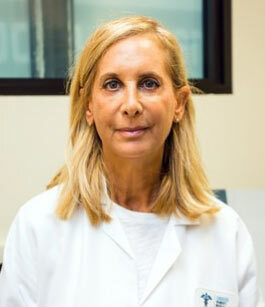 She was educated at Kingsborough College and Touro College where she majored in Biology and is licensed and registered as a physician’s assistant in the State of New York. At Choices Women’s Medical Center Ms. Banks provides pre-­‐operative and post-­operative abortion follow up, GYN services, colposcopies, contraceptive management, patient evaluation and dispenses prescriptions according to guidelines. She records and reviews patient’s medical and psychological histories, performs physical, breast and bi-­‐ manual pelvic examinations, analyzes lab data, orders testing, screens for STI, STD and HIV and also follows standing orders, guidelines and criteria established by the Clinic’s Medical Director. 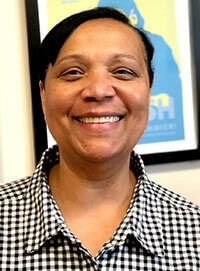 Ms. Banks is actively involved in the Choices team approach to patient care. She understands the needs of nursing, social service and medical personnel and responds in kind. She is disciplined and dedicated to providing, maintaining, documenting and monitoring the quality of patient care. She is active in staff training and education and acts as a resource person for staff regarding health-­‐related topics. Ms. Banks participates in a wide array of medical conferences focused on GYN and pregnancy termination topics. She is devoted to the continuing improvement of the level of care that she offers patients. Ms. Banks was the recipient of a Clinical Achievement Award from the Department of Physician’s Assistant. 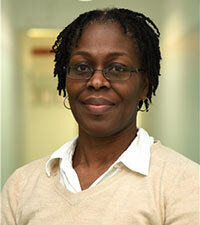 Caring for the people of Jamaica, NY, Ms. Aimee Goldman is a renowned nurse practitioner. Ms. Goldman graduated with a bachelor’s degree from both Columbia University and New York University. She subsequently earned her master’s degree in women’s health nursing from the State University of New York. She went on to complete another master’s degree in public health at Columbia University. A qualified Obstetrics and Gynecology Nurse Practitioner, Carol Clare brings a wide range of experience in GYN services to Choices Women’s Medical Center. Carol has a long history of working in the hospital and healthcare industry including Labor and Delivery as a Midwife. Mrs. Priegue earned a Masters in Social Work from Fordham University with a concentration on psychotherapy with individuals, family and children. She earned her Bachelors of Arts, Sociology and Spanish Literature degree with a minor in American Studies from State University of New York at Buffalo. She is fluent in Spanish. 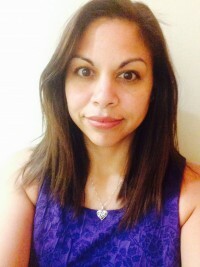 As the Director of the Social Work staff at Choices Women’s Medical Center, and as a New York State Licensed Clinical Social Worker, Mrs. Priegue taps into years of experience as a social worker, administrator, advocate and psychotherapist. She was an administrator as the Project Manager for F.E.G.S. Child and Family Clinic Plus program where children were screened at the school settings for mental health needs and then provided their therapy at their school setting or home. Group therapy focusing on anger management and LGBT group needs were established and facilitated in middle and high school settings. She supervised a team of social workers and interns in providing mental health therapy to much needed population. She serviced mainly the Latino population providing individual and group therapy located in the Bronx as a bilingual clinical social worker for F.E.G.S. Jerome Clinic. Mrs. Priegue facilitated Wellness and Women’s depression group to the Hispanic population. Mrs. Priegue coordinated and facilitated cognitive behavioral groups focusing on families with children that were diagnosed with ADHD or exhibited behavioral issues. Mrs. Priegue worked as an intern and then as a psychotherapist for ten years in the Corona Elmhurst Guidance Center addressing mental health needs of individuals (woman and men), children and families of the immigrant population. She specialized in engaging, assessing the mental health and social needs of the patient and providing consistent treatment to address their needs meeting the patient where they were in that moment in time. Mrs. Priegue assisted her patients in developing reachable and realistic goals to develop emotional wellness. She specialized in working with immigrants who suffers years of PTSD, abandonment issues, and assisting families who were reuniting with their loved ones after years of separation due to migration form their home country to the United States due to economic need. Mrs. Priegue worked for 9 years as the Service Coordinator for the NYC Early Intervention Program or developmentally delayed children from the ages of newborn to 2 and was the social worker for special education preschool children who attended Life Skill Preschool. Case Management experience and advocating for children of special needs and their families was one of her first challenges as a social worker she tackled on. 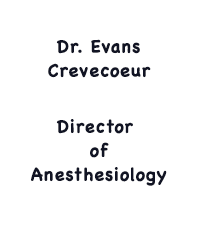 Evans Crevecoeur, M.D. earned his doctoral degree at the SUNY Health Science Center in Brooklyn NY. He completed his Medical Internship at Booth Memorial Hospital in Flushing, NY and residencies in Anesthesiology, Obstetrical Anesthesia and Pain Management at New York Medical College in Valhalla, New York. 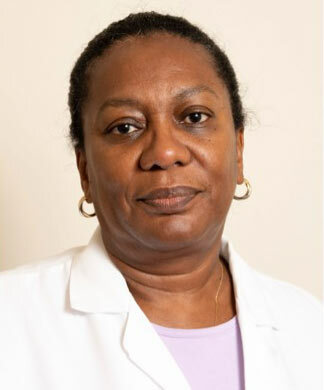 Prior to attending SUNY, Dr. Crevecoeur earned a Bachelor’s of Science degree in Biology at St. John’s University in Brooklyn. He has served as a Captain in the U.S. Army, Medical Corp since 1988. A dedicated physician, medical writer, researcher and philanthropist, Dr. Crevecoeur is a member of the American Society of Anesthesiologists, New York State Society of Anesthesiologists, the American Society of Regional Anesthesia and the International Anesthesia Research Society. He was Board certified in 1994 and received an MBA degree from Regis University in 2004.